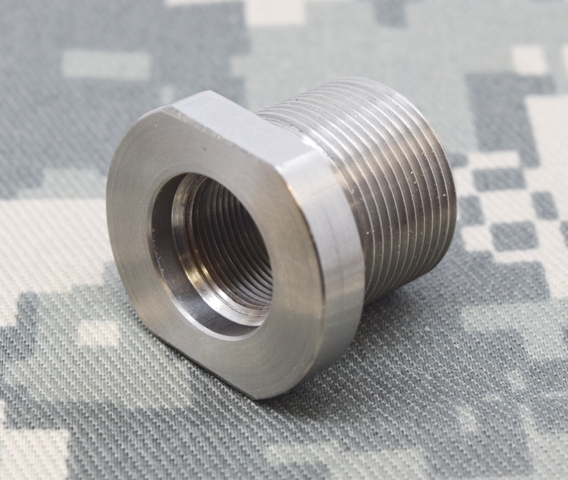 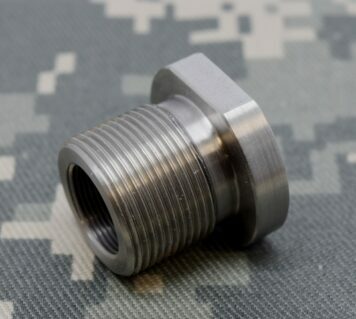 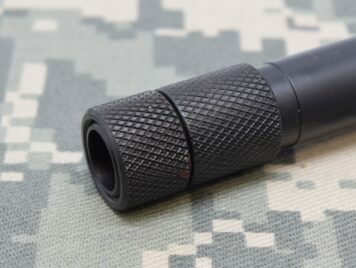 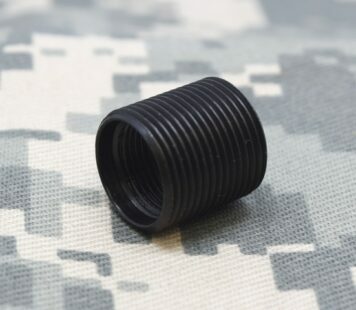 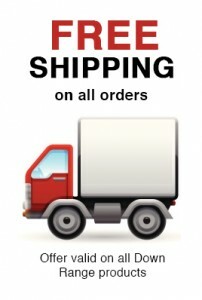 Barrel thread adapter 1/2 x 36 ID to 3/4 x 24 OD. 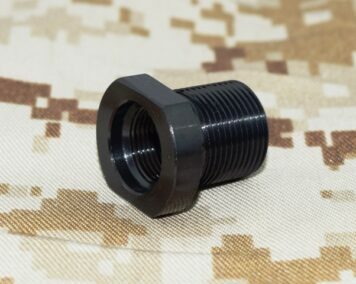 Change your 1/2 x 36 barrel to accept 3/4 x 24 threaded accessories. 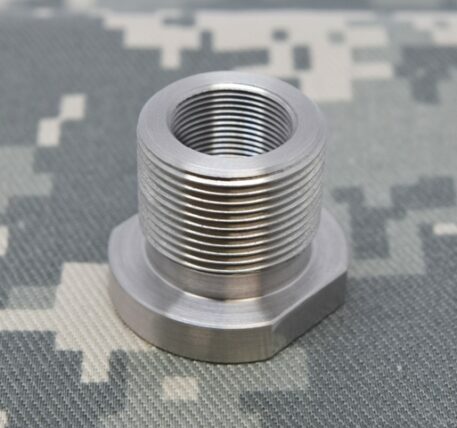 3/4 x 24 TPI OD Threads. 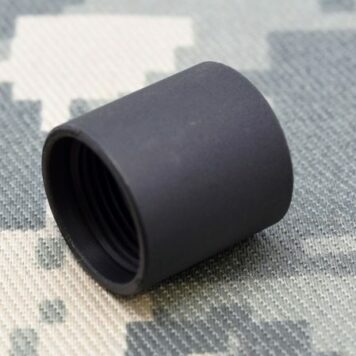 .825″ Long / .990 large diameter.